Home > News > Congratulations Ed Clarke on completing the 6 Foot Track! CEO Chris Thomas has thanked Ed Clarke for completing the 6ft Track for Transplant Australia. 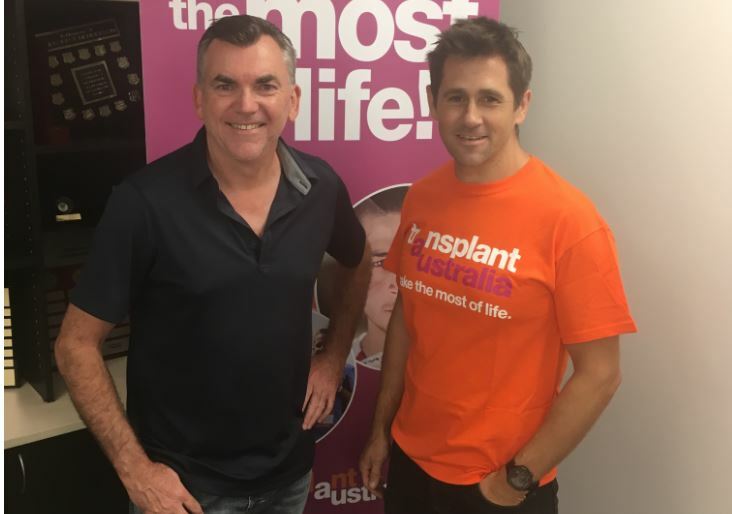 Ed raised just over $2,500 for Transplant Australia, all of which will go to our public awareness campaigns to inspire more people to register as organ and tissue donors, and save more lives. Mr Thomas said, “We can’t thank Ed enough for doing this special challenge in memory of your brother and in support of Transplant Australia. Ed completed the grueling 45km marathon in honour of his brother, Andy, who became an organ donor over 25 years ago after a car accident in England. One of the lives Andy saved was Transplant Games gold medallist and world champion Richard, an avid cyclist who is continuing Andy’s legacy and achieving great things in the UK. Ed said moving house was what got him race-fit. “I think the stress and the lifting and carrying of boxes up steps must have helped with the weight loss and the fitness, as I managed the race in a much better time than I was expecting! On behalf of everyone at Transplant Australia, a huge congratulations to Ed on the completion of this challenge – and an even bigger thank you.